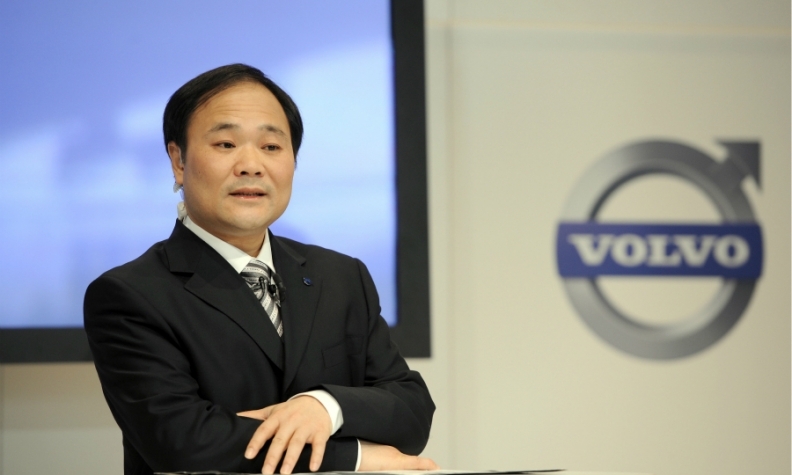 Volvo has enjoyed a major renaissance under Li Shufu chairmanship. Li Shufu's $9 billion investment in Daimler raised concern in German government halls and executive suites. Not so at the offices of Michael Brecht, the powerful head of the automaker's workers council. That's because Brecht, during months of speculation that preceded the purchase, had been doing his homework on Li, who has owned Volvo Cars since 2010. Regular conversations with unions in Sweden revealed that employees there -- no pushovers when it comes to defending their rights -- were content working for the Chinese tycoon. Li, the 54-year-old founder of Zhejiang Geely Holding Group, became Daimler's biggest investor with an almost 10 percent stake as of last Friday. He built a reputation for being hands-off and cooperative during Volvo's return to growth, providing some $11 billion in investment and leaving company managers to make their own decisions. Daimler's works council had "close contacts" with their counterparts at Volvo, and feedback about working with Geely has been positive, Brecht told reporters at a Feb. 6 meeting, when he was asked about the speculation of a Chinese investment in Germany. Keeping workers on one's side is crucial in Germany, where employee representatives make up half the supervisory board at major companies. Brecht remains open-minded about working with the new lead investor, a person familiar with his thinking said. Initial reactions among employees didn't point to much concern over Li's involvement, the person said. Volvo's success in recent years would support the workforce's satisfaction with their new master. The Swedish automaker, the only major one left after Saab Automobile folded, has enjoyed a major renaissance under Geely, upgrading its lineup with new versions of its popular XC90 and XC60 SUVs, and a new V90 station wagon that are viable competitors to the likes of BMW and, for that matter, Mercedes. So far, Germany's government also hasn't put up any official warning signs about China's biggest push into the economy, which is Europe's largest. The purchase was a "corporate decision" and below a threshold of a 25 percent stake or more where foreign investment rules apply, German deputy government spokeswoman Ulrike Demmer said. Fears about Chinese interference are misplaced, Sanford C. Bernstein analyst Max Warburton said in a note. Geely's hands-off approach is set to continue at Daimler, where Li, or a representative, will probably seek a board seat. Getting one isn't assured. Geely's Volvo Cars competes not only with Daimler's Mercedes-Benz cars, but the Chinese manufacturer agreed in December to become the biggest shareholder at publicly traded AB Volvo, the world second-biggest truck maker after Daimler. Any desire to take up a seat must be "especially closely" monitored since meetings discuss strategic plans that could make Geely's presence "problematic," Interim German Economy Minister Brigitte Zypries told Stuttgarter Zeitung newspaper in an interview. Under German law, Geely can theoretically seek a board seat as early as April 4 when Daimler's next annual meeting takes place. While there's no legal right to board representation, companies tend to grant shareholders' wishes -- Deutsche Bank gave a seat to China's HNA Group, the same year the Chinese conglomerate investor initially bought almost 10 percent of the voting rights. "It's also a political question whether you can shut the door in someone's face like this," said Gregor Bachmann, law professor at Humboldt University in Berlin. "Usually, sooner or later you accommodate such a wish and grant a seat. It's pretty difficult to say no here."